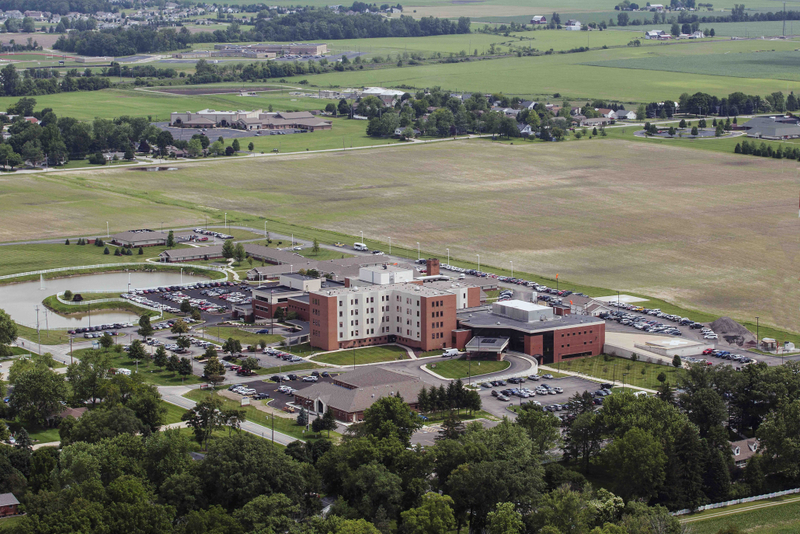 Fulton County Health Center is a critical access hospital along with a 71-bed nursing home on a 128-acre campus serving the residents of Fulton County Ohio and surrounding areas. We are located at 725 S. Shoop Ave. in Wauseon, Ohio. The staff at Fulton County Health Center are committed to providing quality, personalized health care to our area residents. When you need health care services, our staff is here for you, ready to provide quality health care in a safe and comfortable environment. Fulton County health Center was first incorporated in 1929 when we completed the construction of Detwiler Hospital in Wauseon. In 1973 we moved into a new facility and became know as Fulton County Health Center. We adopted in our name “Health Center” as our mission was to “Serve our community to promote and provide the means for continued health and wellness”. We saw naming our facility as a Health Center allowed us to not only be a place people would come when ill, but to also come to maintain and/or improve one’s health. To ensure we are providing high quality healthcare, we undergo a regular and comprehensive review of our services. These reviews are performed to evaluate and certify the various services we offer. Oncology/Hematology: American College of Surgeons, Member of the Eastern Cooperative Oncological Group. 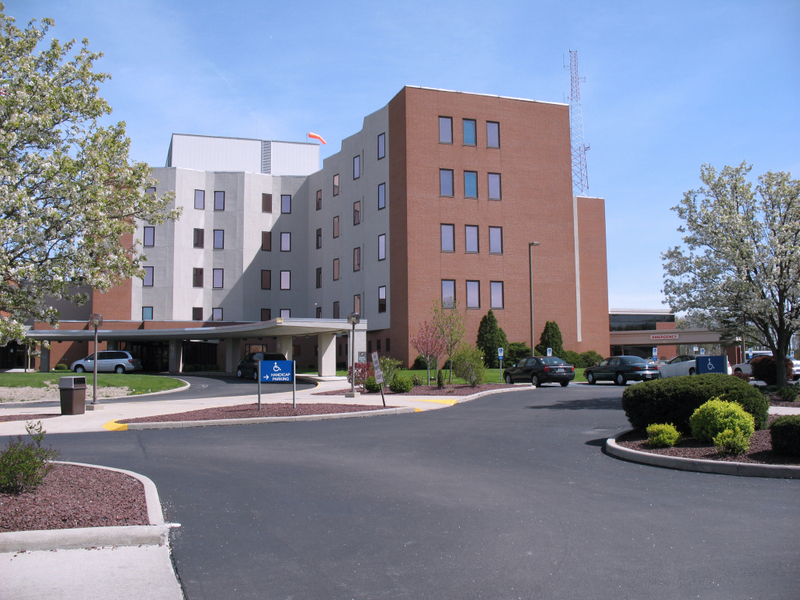 Fulton County Health Center is an independent non-profit hospital and health center located in Wauseon, Ohio. The Health Center status as a not-for-profit facility ensures all financial resources remaining after expenses are paid are committed to improving the service, the technology, and delivery of healthcare for our patients. Since 1973, we have provided quality personalized care to residence of Fulton County and surrounding areas for a variety of healthcare needs. A voluntary Board of Directors represents a broad spectrum of professional, business, and community leaders from throughout the Fulton County area. 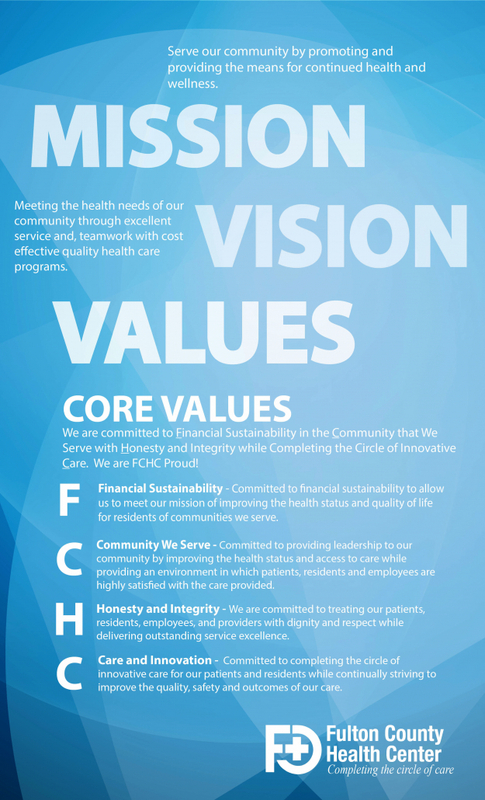 The Board of Directors of Fulton County Health Center is dedicated to providing the best possible care available at the lowest cost to the consumer. Below is a list of the Board of Directors of the Fulton County Health Center.